Facial Fat Grafting, aka Facial Fat Transfer, is a minimally invasive procedure in which a patient’s own fat is taken from one area of their body – for example, the waist, abdomen, hips or buttocks – and implanted at another site where it is needed. The procedure is also referred to as free fat transfer and autologous fat transfer. People also talk about fat injections and lipofilling, which are alternative non-medical ways of referring to the same procedure. An aging face is characterised by the appearance of wrinkles – usually through exposure to the sun over the years together with loss of elasticity – gravity-related sagging of the soft tissues and loss of facial volume, which gives the face a hollow appearance and haggard, tired look. Facial Fat Grafting replaces the lost volume, restoring the face to its natural, young-looking appearance. Although the fat grafting procedure is most commonly employed as a facial rejuvenation procedure, it is also used in correcting atrophic aging of the hands (resulting in thin, flaccid and wrinkled skin on the backs of the hands), and also post-surgical and post-traumatic defects. However patients should understand that not all regions of the body respond well to fat transfer / fat grafting. 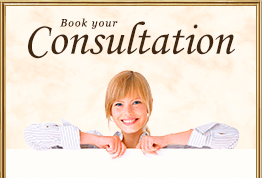 During your consultation with Mr Rezai, your concerns will be discussed; your medical history is taken to confirm your suitability for treatment; all aspects of treatment including possible risks and complications are explained; and there is also an opportunity for any questions you may have to be answered. A treatment plan is then tailored to suit your needs, taking into account your medical history, your concerns and your goals. Facial fat grafting can be performed under either a general or local anaesthetic depending upon the extent of the treated area. – First of all the donor site is prepared. Following this, fat is taken (harvested) from areas of the body where the fat is most tightly packed, often the abdomen or the buttocks. – The fat is harvested using a thin hollow needle (known medically as a cannula) connected to a syringe. This process is very similar to that of liposuction. – Here the fat is purified either manually or mechanically in order to obtain the fat cells for grafting. – Next, the fat cells are prepared for transfer. – The area for the graft is prepared. – The prepared fat cells are injected into the area by means of a cannula. 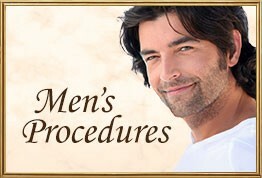 – The injection is repeated as needed until the desired correction is achieved. 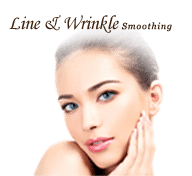 Facial Fat Grafting is a non-invasive procedure that causes minimal scarring. Recovery time is likewise minimal, depending on the extent of the treatment, the majority of patients are able to return to work and other non-strenuous activities between 2-5 days folowing the procedure. Follow-up appointments will be necessary in order to monitor the results. This is because fat has a tendency to become re-absorbed into the body and it is not possible to predict exactly how much of it will survive following grafting. 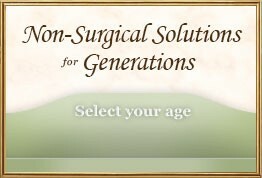 When fat grafting is successful, natural results are achieved which will last 1 year or longer. In most cases the results will become permanent after repeated individual injection treatment sessions (typically 3 or 4). 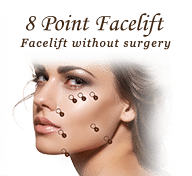 This procedure can be used either alone or in combination with a surgical procedure such as Face Lift, Eyelid Surgery (Blepharoplasty) and Brow Lift. The risks associated with facial fat grafting are few, rare, and minimal, but all patients must understand and accept that no surgical procedure is absolutely free from risk. Soreness and swelling are possible, but they’re not experienced by every patient. The most significant down-side of the procedure is that your face may simply reabsorb all or most of the fat injection. The chances of this happening can’t be predicted for a given individual, but it happens in up to half of all patients who receive fat injection treatments. Rare but possible complications include over-correction (too much fat injected), under-correction (the desired result is not achieved), clumping of the graft, infection, scarring in the donor area or bleeding. For further information concerning the risks and complications associated with Facial Fat Grafting, please refer to Risks and Complications of Fat Grafting.